SKF NOTE: Last year I began posting small exchanges from the full transcript of my 1984 Les DeMerle interview. 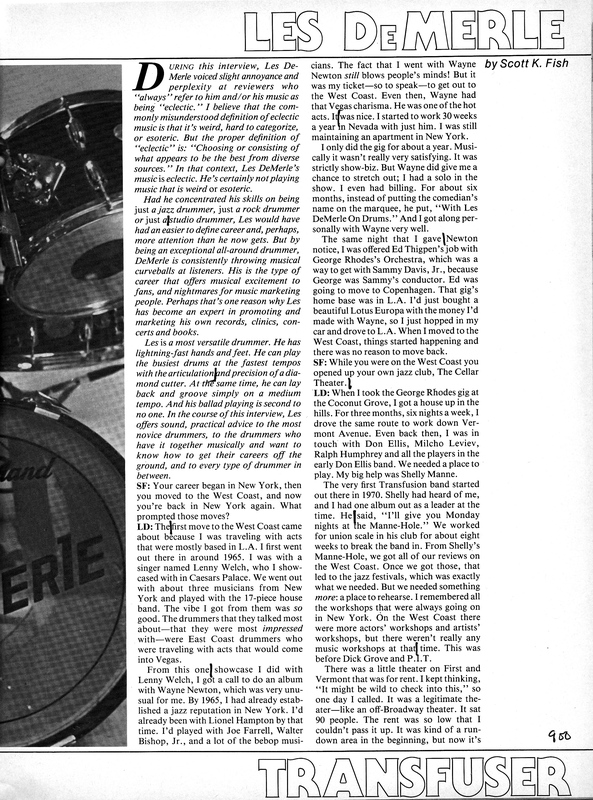 Here is Les’s full interview as published in Modern Drummer October 1984. Les DeMerle also offers valuable insight into the business of professional drumming. While the internet has changed that business, much of Les’s experience as a drummer/businessman is still very relevant. Also, I am pleasantly surprised at how many photographers contributed to this interview: Charles “Chuck” Stewart, Tom Copi, Paul Jonason, and Veryl Oakland. They were all excellent to work with. One last thought: I almost didn’t scan/post this copy of Les’s interview because of it’s pen markings. But those markings, and the numbers written in pen in the page margins, might be of interest to drum journalism junkies. 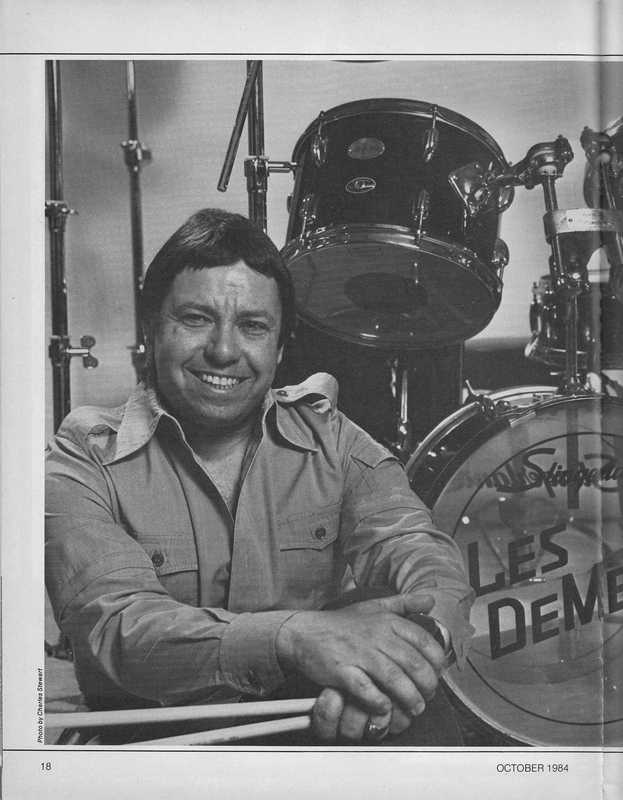 When I left Modern Drummer in October 1983 I was still working on a handful of feature interviews — including this Les DeMerle interview. Apparently MD founder/publisher Ron Spagnardi and I agreed I would be paid for that handful of feature interviews X-cents per published word. My 1984 system for counting published words was: count 100 words and mark the page, count 100 words and mark the page. Then I counted my page marks and wrote the total in the right margin. So first page has 900 words. The second page has 600 words. Trust me, having computers count words is much better. This entry was posted in SKF Blog and tagged Drummer, Les DeMerle, Modern Drummer, Scott K Fish, SKF Blog. Bookmark the permalink.